Classic yet eco-friendly featuring Hepburn design with stud detailing. Smooth finish lightweight hand crafted bamboo temples, plastic frame and comfortable curved tips. 100% high quality UV400 protective lens protections against harmful UVA & UVB as small as 400 nanometers. 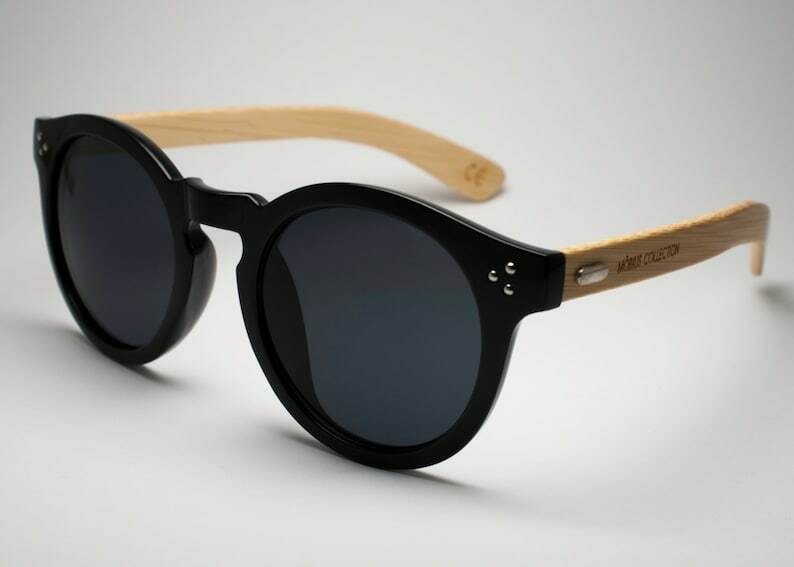 Every sunglasses is one of a kind because each temple is made with natural bamboo and have different unique wood grain. I absolutely love them! They worked with me with any issues I had and were really nice about it too. I have referenced friends and family to buy from them and I urge the rest to do too!